Glencore [JSE:GLN] posted record interim profit and cut debt to below target, but left investors guessing about what it will do with all the extra cash. The world’s biggest commodity trader said it would continue to focus on cutting its debt and returning money to shareholders. However, it failed to increase its interim dividend or expand an existing buyback at a time when rivals are paying out more to investors. That may leave the door open for more deal-making by billionaire chief executive officer Ivan Glasenberg. It’s been a tough year for Glencore, with challenges spanning from the Democratic Republic of Congo to Russia and, most worryingly, a corruption probe by the US Department of Justice (DoJ). The company didn’t provide any material updates on the DoJ probe in its statement on Wednesday and interim earnings, while a record, slightly missed analyst estimates. "There is no ‘big bang’ within today’s results," RBC Capital Markets analyst Tyler Broda said in a note to investors. "The company is trading at a substantial discount to peers on a free cash yield basis with a strong balance sheet. This should open up more compelling opportunities for buybacks into 2019 or other options to compress this valuation disconnect." The shares declined as much as 3.5% and traded 0.77% lower at 13:17. 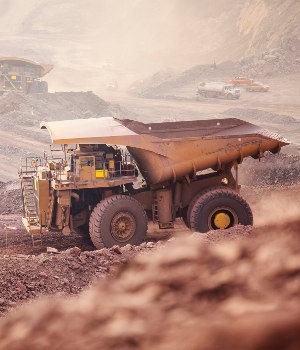 Glencore has trailed its biggest rivals so far this year, with the stock falling about 17% while BHP Billiton [JSE:BIL], Rio Tinto and Anglo American [JSE:AGL] have all made gains. Last month, just days after the DOJ probe, the company announced it would buy back $1bn of its shares in an attempt to bolster its stock price. Despite the lack of news today, there may still be additional returns to shareholders on the horizon. "While broader market conditions are likely to remain volatile, confidence in our business prospects and current share trading levels point to near-term focus on deleveraging and shareholder returns/buybacks funded through cash generation," Glasenberg said in the statement. Still, the company is famously aggressive when it comes to dealmaking and holding back its cash keeps that option alive. Earlier this year Glasenberg said there was scope to do deals and the company has said it wants to grow its agriculture unit. In 2017 Glasenberg made an informal takeover approach for US-based grain trading rival Bunge. Glencore’s wait-and-see results stand in stark contrast to rivals Rio Tinto and Anglo American. Last week, the former said it would would funnel $7bn back to shareholders this year, while Anglo committed to growth, giving the go-ahead for a new $5bn copper mine in Peru. For Glencore, "the tone of presentation comments suggests lower likelihood of M&A in favour of increased returns, most likely via further buy-backs than dividends," Barclays analysts said. The company reported adjusted earnings before interest, taxes, depreciation and amortisation of $8.27bn, up 23% from a year ago. That fell short of the $8.55bn average analyst estimate. Debt fell to $9bn, well below its target range. Earnings benefited from a surge in coal prices, increased copper production and strong results from its trading business. However, like Rio last week, Glencore reported pressure from rising costs in the first half that are biting across the sector. The company said its slightly disappointing earnings were partly affected by higher-than-expected costs at copper and zinc mines. It also had an underwhelming performance in agriculture.